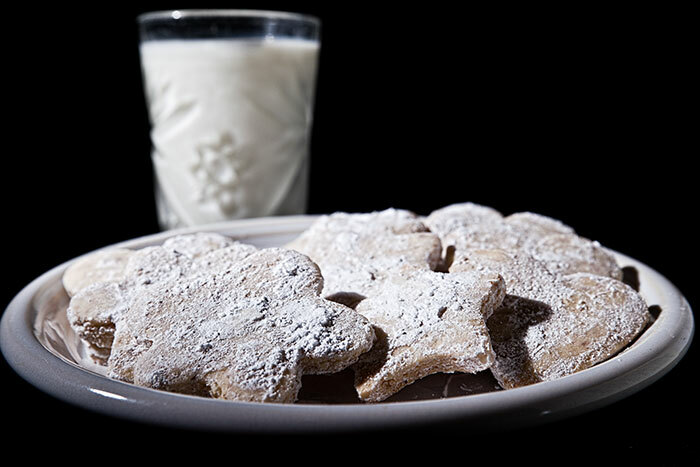 My wife made some sugar cookies today so I couldn’t resist a plate of them and a glass of cold milk. Almost nothing better than cookies and milk after a long day at the office. For this food shot I positioned the cookies on a white plate, poured a glass of cold milk and placed them on the back of one of my tower speakers. I used the black side of a 5-1 reflector as the background. I setup a single Canon 580EXII flash with a paper snoot to direct the light onto the plate and milk without spreading to other areas of the image. This had the effect of really creating a black background and foreground around the plate.